2 Bed, 2 Bath, Platinum Season. 2 Bedroom, 2 Bath with Lockout Feature. Annual Floating .Seller has 2 weeks-buy both for $9500. 2 Bedroom, 2 Bath with Lockout Feature, Floating Week, Biennial Odd Year Use. Discover the vacation of a lifetime with The Westin Princeville Ocean Resort Villas timeshare deals. 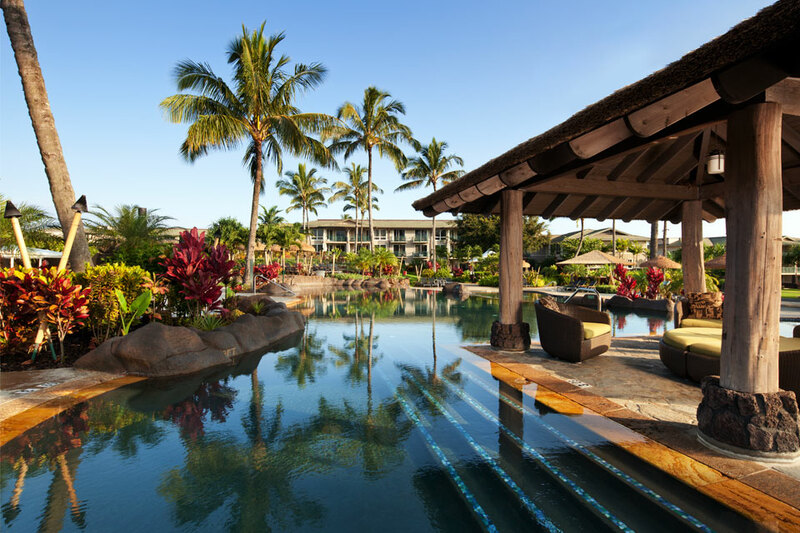 Nestled in the hills of breathtaking Kauai, Hawaii, this resort offers timeshare options through Starwood’s Vacation Ownership program. You’ll experience the luxurious amenities of a resort with the security and savings of ownership. That’s the magic of Westin timeshare resale. Perched on a cliff overlooking Hawaii’s famous Garden Isle, this resort is a tropical paradise. Whether you’re exploring Moir Gardens, wandering through Waimea Canyon State Park or simply basking in the year-round sunshine on Kauai’s magnificent beaches, this location is a perfect home base. Of course, the property itself is something of a wonder. Each of The Westin Princeville Ocean Resort Villas timeshares for sale envelopes you in lush Hawaiian decor, like gorgeous tile floors and private lanais. Plus, with choices ranging from studio villas to two-bedroom accommodations, there’s an option for everyone. Whale-watching, hiking, horeseback riding: It’s all available when you buy a Westin Princeville Ocean Resort Villas timeshare. Relax at the sauna and outdoor whirlpool. Take a dip with a view of the Pacific in the plunge pool. Try some local specialties at the Nanea Restaurant & Bar or have an attendant at the Ke Kai Bar deliver a refreshing tropical drink while you soak up the rays. Plus, with access to a fitness center, game room and activities like sailing, surfing and scuba diving, you’ll be living in luxury 24 hours a day. The Westin Princeville Ocean Resort Villas timeshare deals provide the security of a vacation locked in at the same price every year. You’ll receive a deeded interest and can choose between villa sizes, styles and types. A Fixed villa lets you set a specific vacation period at one resort. A Float villa allows you to choose a broader travel season. The choices don’t end there. Trade your stay with another vacationer. Try a Westin Princeville Ocean Resort Villas timeshare resale. Purchase a larger villa, then split the purchase into longer trips. The Westin Princeville Ocean Resort Villas fractional ownerships offer an array of options. Westin vacation owners get even more benefits from Starwood’s Preferred Guest Starpoints. With this hotel redemption program, you’ll have the opportunity to exchange your accommodations for an exciting trip to one of Starwood's 1,000 hotels and resorts located in 100 countries. Want to see the world without spending your life savings? Buying a Westin Princeville Ocean Resort Villas timeshare or sharing a Westin Princeville Ocean Resort Villas fractional ownership lets you do just that. Looking to sell your Westin Princeville Ocean Resort Villas timeshare? List your timeshare through one of Premier Timeshare Resale’s licensed agents with no upfront fees or hidden costs. Get started today with the help of our dedicated and professional staff.